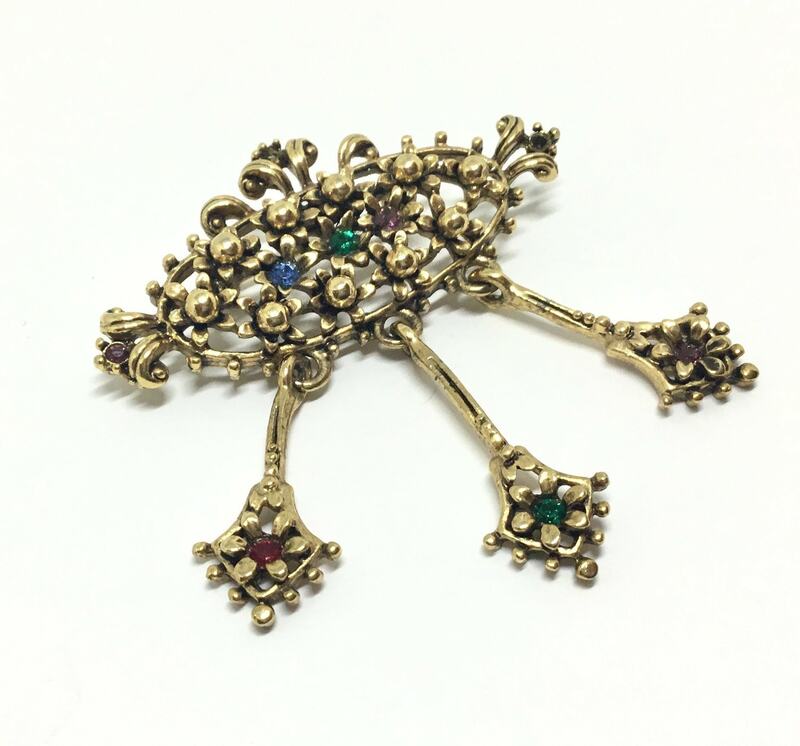 This is a unique vintage rich goldtone brooch with rhinestones, dangles, and flowers. 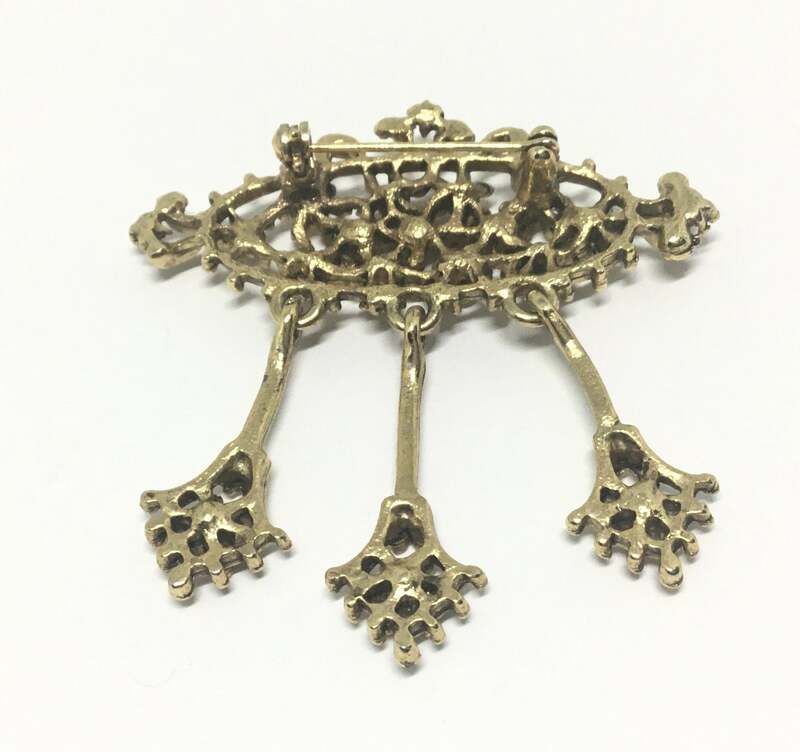 This openwork beauty is a wide oval shape. 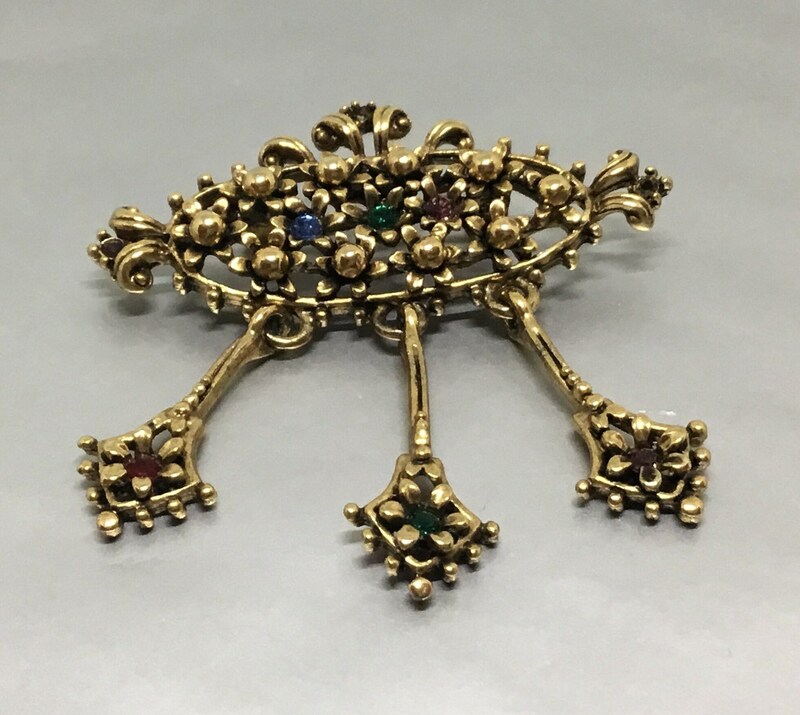 There flourishes and goldtone beads in the design. 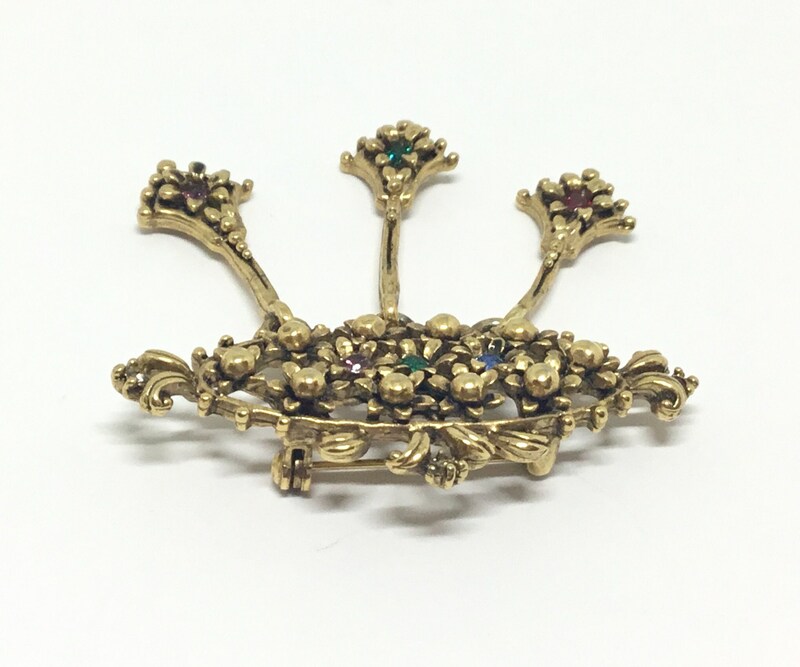 The center of the flower is threebfkowers with goldtone petals and rhinestone centers. 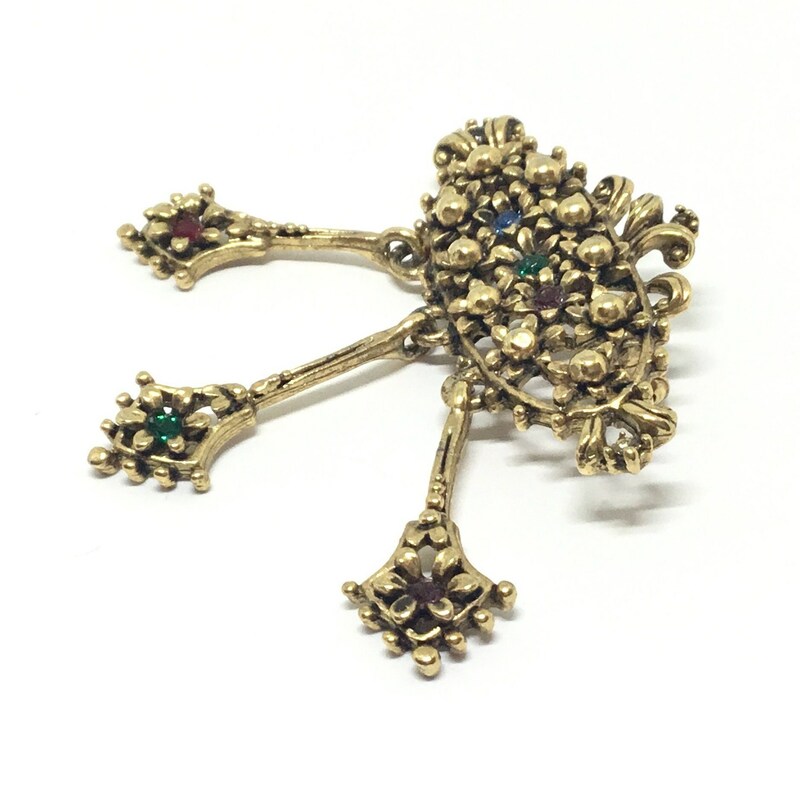 This motif is repeated wit the three dangles with a flower on the bottom of each. It measures 2 1/4” x 2 1/8” and the pinback is straight and works smoothly and securely. It is in excellent condition. 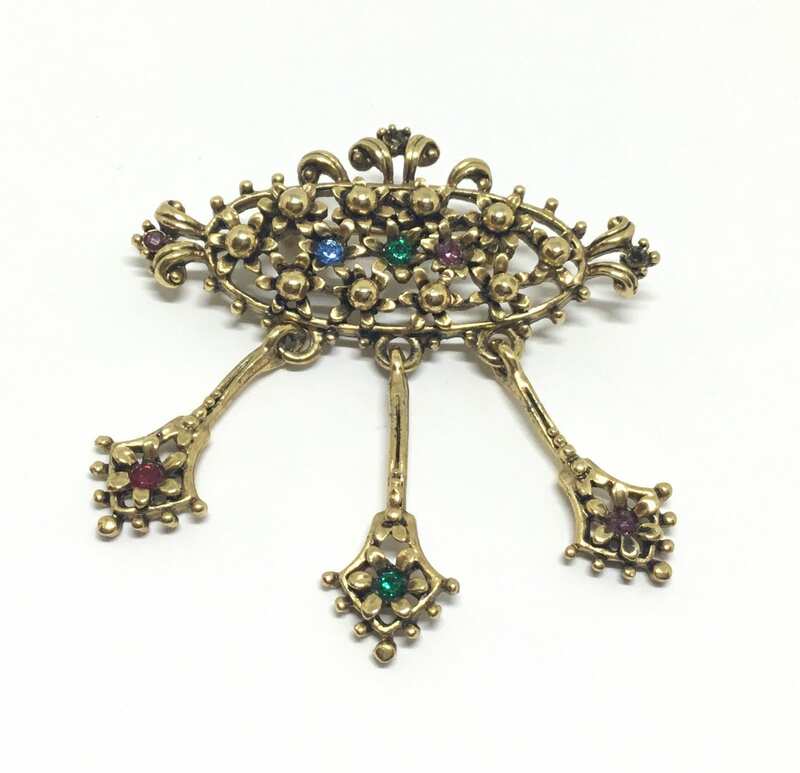 A great goldtone brooch to wear for work or play....and who doesn’t love dangles?